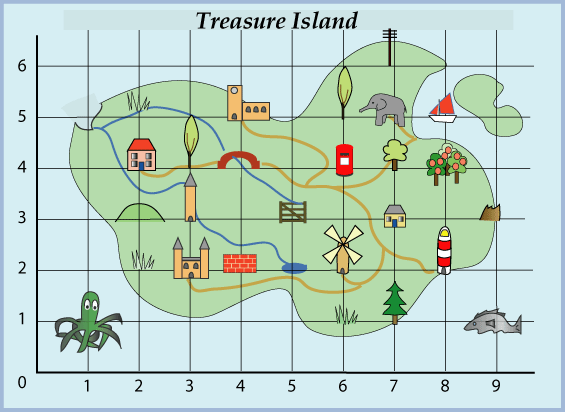 Here is a treasure map. Coordinates. Angles - points, lines and parallel lines. Visualising. Addition & subtraction. Trial and improvement. PrimaryResourceful. Squares. Angle properties of polygons. Rotations. Interactivities.